Hopper - The single hopper of the unit can hold up to 1.36 Kg of fresh beans. Turbo Action - The G3A grinder has a turbo action that can draw the beans down to the grind chamber. This helps the efficiency of the machine. Cleaning Lever - Cleaning a grinder right after using it can be a long and troublesome process, but with the cleaning lever of the G3A you can be sure to get all the coffee out. Bag Switch - The unit also comes with a bag switch. The simple features ensure that the motor is switched off when the bag is removed. Precision Burrs - The unit is equipped with precision burrs that can handle heavy usage while coming up with consistent grind quality. 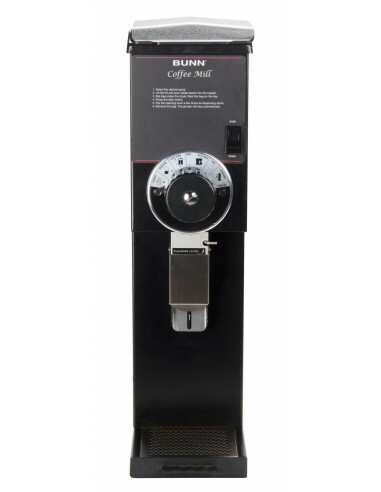 Lots of Coffee - With a hopper that can handle 1.36 Kg of beans you can grind a lot of coffee beans fast. Wide Selection of Grinds - A lot depends on the quality of the grind that you get. For example, the quality of the beverage that you will get will depend on that. With the precision burrs of the G3A grinder, you can get quality grind whenever you use it, no matter what selection you choose. Convenient - Features like the cleaning lever, make the unit a very convenient addition to your coffee set. Fast - With a powerful motor and heavy-duty burrs, the G3A can produce quality grinds in no time at all.